Sail across the crystal-clear waters of the Mediterranean Sea form Monterosso on a 6-hour big game fishing tour. 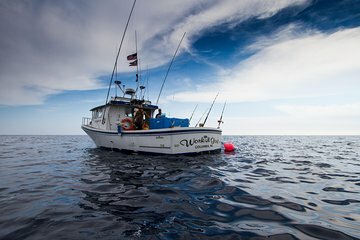 Cast your line into the sea in hopes of catching Bluefin tuna, Mackeral, and other pelagic fish off the coast of Punta Mesco. Enjoy light refreshments and snacks on board and admire the beautiful scenery of the Italian Riviera throughout the tour.